Opening this weekend is director David Ayer’s (Harsh Times) police thriller End of Watch. The film stars Jake Gyllenhaal and Michael Peña as two Los Angeles beat cops who find themselves marked for death after a routine traffic stop turns into an epic drug bust that interferes with a notorious cartel. Unlike Ayer’s previous films which focused on corrupt police officers, Gyllenhaal and Peña play honest cops trying to make a difference. In addition, most of the movie was filmed with handheld cameras, and Ayer’s POV shots put the audience right in the middle of the action. Trust me, End of Watch is definitely worth your time and the chemistry between Gyllenhaal and Peña is a lot of fun. For more on the film, here’s Matt’s review, my video interview with David Ayer, twenty things to know from my set visit, and all our previous coverage. 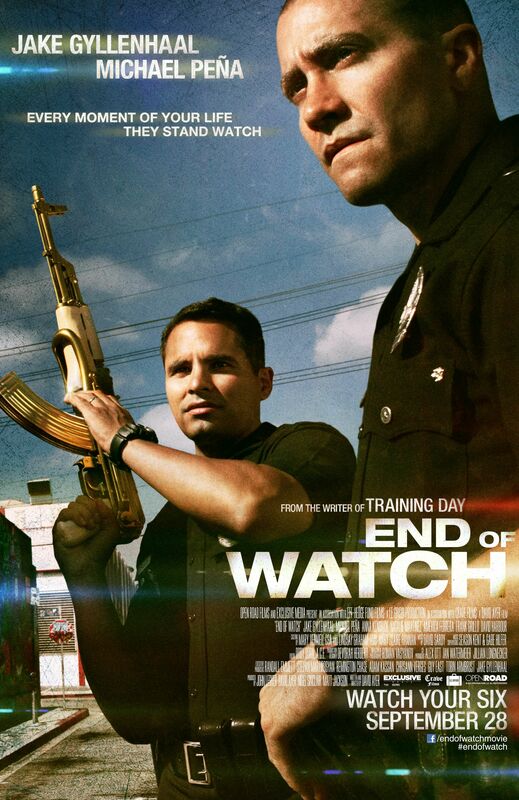 End of Watch also stars Anna Kendrick, Natalie Martinez, America Ferrera, Cody Horn and Frank Grillo. Last week at the Toronto Film Festival I was able to speak with Jake Gyllenhaal. During our fun exchange we talked about the unique camerawork in End of Watch, what he learned from making the movie, the training and short shooting schedule, why he missed Comic-Con, fashion week, and a lot more. Hit the jump to watch.